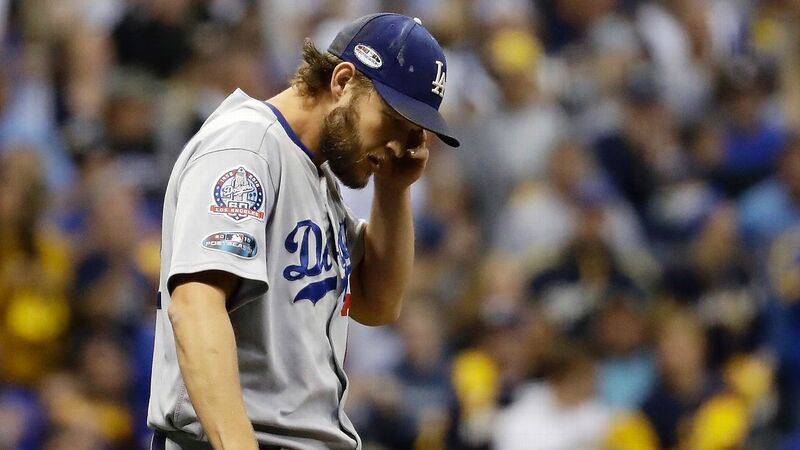 Dodgers manager Dave Roberts acknowledged Friday that left-hander Clayton Kershaw is unlikely to be ready for Opening Day. Kershaw has been slowed by shoulder inflammation this spring and has yet to pitch in an official Cactus League game. Roberts on Friday refused to officially rule him out for the opener, but for the first time this spring, he admitted that there's a strong possibility that his longtime ace won't be ready to face Arizona come March 28. "It's unlikely," Roberts said. "Unlikely is fair. But I don't want to close the door, but it's more, obviously, when you look at the calendar, it's more unlikely." Kershaw has thrown two bullpen sessions, including a 31-pitch one to Russell Martin on Thursday. He has been limited to throwing only fastballs so far, staying away from anything off-speed, which are his most effective pitches. The veteran lefty is scheduled to throw a third bullpen Monday. Kershaw has made a Dodgers-record eight consecutive Opening Day starts. Asked earlier this week if making a ninth straight mattered to him, he said, "Yes and no." Yes, because he would like to keep his streak active. No, because he understands the importance of avoiding further setbacks. Kershaw turns 31 next week.